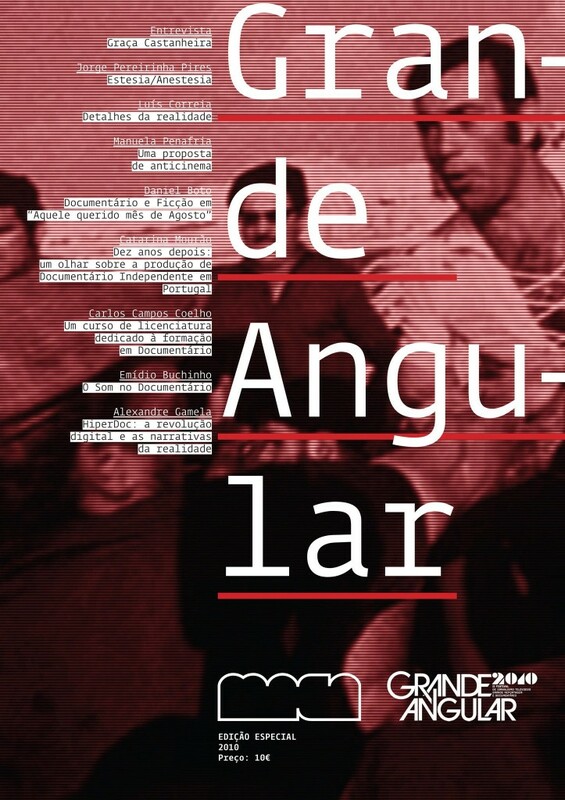 A few months ago I was invited to write an article for a special edition of MACA magazine, published on the occasion of the Festival Grande Angular of documentary and special reporting. Since I’m all about digital narratives , my idea was to reflect upon the changes the online environment brought to documentary production, and which new conceptual, production and distribution possibilities exist thanks to this new logic. You can find the Portuguese version here. Go ahead and share your thoughts in the comment box. Before the cinematographic fiction, moving images were initially dedicated to capture moments of everyday life, as we can see in the first experiments made by the Lumiére brothers. Restricted to a single minute of film, there wasn’t much they could do but capture short portraits of day-to-day activities, a fragmented, animated view on the surroundings. That contribution was decisive to change the way the world envisioned itself. Today, a little bit over than a century later, we are going through another revolution, equally important and with even deeper effects in our relationship with the world. The internet and the advance in digital languages technology created new fields and methods to tell and share non-fictional stories, where personal vision and independence are paramount, just like the opening to participation of an unexpected element: the audience. But to understand what can change, we must realize what already did. Our lives changed with the internet, and the way we deal with reality – ours and shared – changed profoundly in the last decade. If the Industrial Revolution took almost two centuries to change society and its habits, the Digital Revolution took less than two decades. We are in the age of ubiquitous, interactive, immediate, multimedia and – above all – personal communication. Never so many contents were created and consumed like now, and most of them come from the “people formerly know as the audience”, in Jay Rosen’s disruptive concept. It’s a shift in the power of content creation and distribution, multiplied many times over with the coming of social networks like Facebook, which is forcing many industries to rethink their business models and production methods: first the record industry, then movies and, from the very beginning, news industry. Their place as an unique source and the exclusive role as a mass scale distributors were questioned by digital society’s structure, based on creation, sharing and redistribution, and powered by the spirit of independence and affirmation of individuality. Technological advance and digital gear development are also an important part of this new order of things, as a cause, consequence and metronome for this (r)evolution. Thanks to cheaper, higher quality products, it is not just simple to access information but also to create it. Digital cameras – first in photography, then video and recently the combination of the two – reached such accessible prices that democratized the image creation process. And since they’re so easy to use , anyone can create their own collection, and with free hosting video and photo platforms like Flickr and YouTube a process that before demanded huge technical skills only available to a few became simple to all. If we include cell phones that can capture, edit and publish visual narratives we can say that all that power is, literally, in our hands. The iPhone is the best example of the ability that the object formerly used to make phone calls has in that field. Documentary, as a format, took benefit from the digital reproduction means. Throughout history, documentaries were always limited to the parameters imposed by cinema and television. More recently, the documentarist’s vision gained more reach and longevity thanks to the DVD, allowing more profitability and recognition to a genre that has been capturing fans in a society immersed in narratives of reality and in real time. And, for the reasons stated before, using less expensive resources. We know that it’s hard to make users to pay for online content. That doesn’t mean they can’t contribute to the making of the movies: merchandising, physical support editions with exclusive extras, special screenings, these are all ways to finance a documentary project. We can even ask to our potential audience to crowdfund our project. But the digital crowd can provide more than financial support. They can provide the story. Although there was much discussion about Ridley Scott e Kevin MacDonald’s A Life in a Day, that intended to mashup users’ contributions through Youtube into a movie revolving about the life in the world on the 24th of July of 2010, there was who anticipated that and did something in the same mold. 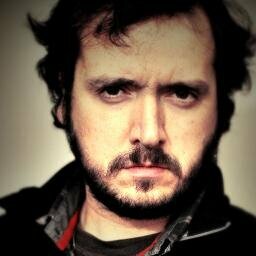 Frank Kelly, an Irish independent filmmaker, used Twitter to create a feature film that gathered 140 short movies, 140 seconds long each, and shot synchronously in 140 places around the world by whoever wanted to participate. In May 2009 he told me that “as an independent filmmaker who has no funding and is still trying to break into the film industry, the internet is an essential tool to continue to create work and connect with like minded people “ allowing him to do something that would have been impossible “10 years ago”. Adequately titled “140”, this movie has been reviewed favorably because of the efforts made to coordinate these scattered views that, together, produce a larger image of the planet than just the sum of its parts. Even when creating documentaries in a more traditional fashion, audience participation and the importance of networks to collect information are of unquestionable value, or isn’t the internet the biggest archive and communication space in the world. Despite the dimension of this archive is practically infinite, collective memory and personal networks of each user are still valuable resources that de documentary maker can explore in a scale never seen. Thus, the stand of the documentarist, like any any other content creator nowadays, is changed. It is no longer a unidirectional relationship, from one to many, but an involving process of constant dialogue. It wasn’t only the relationship with the audience, platforms and the distribution process that hás changed for documentary makers. The relationship with the very subject, the story’s characters and narratives have changed. The advantages allowed by a more portable and discreet equipment, the agility and discretion collecting audiovisual material have also increased, and also the speed and facility in editing. New languages and production processes appeared thanks to the new technical possibilities provided by digital narratives. It is probably the biggest change in visual language the genre has ever seen since cinema verité in the 50’s and 60’s. More content, less expenses, more possibilities in post-production and the involvement of other formats inserted in the video opened new creative horizons for reality storytellers. Journalism online, in long format and depth contents, borrowed the documentary “tone” to tell stories. If we look into one of the references in this field, project MediaStorm, we can find many natural features from documentaries present in those narratives. They go beyond the limitations of video and they use native online narratives like audioslideshows, a narrative supported by synchronous audio and photography. Other trendy way to create documentaries, thanks to the characteristics of the online, and already tested in the traditional format in movies like Barakaand the Qatsi trilogy, are films that explore a non-textual style, based only in the power of images and music. “Routines” series follow this model with a strong experimental component. These new ways to tell stories question and broad the very definition of what a documentary can be, in its form. Even the duration of the movies no longer has a standard online. Many documentaries, or films that fall into that category, aren’t very long: they can be two or 15 minutes long, function as unique pieces or be part of a series. The liberty to easily approach any subject and dedicate the strictly necessary time to it came to prove that the importance of an issue, and its beauty, is in the eye of the beholder. There are no stories, concepts or characters too poor to work on. What the Digital revolution brought to the narratives of reality were processes and spaces for stories that were previously neglected or abandoned either by traditional media, or even by those who would be the only ones interested in telling them: the documentarists. But if we have tools, spaces, freedom to tell those stories, we must understand that, since it’s an environment in constant evolution, the digital, networked world facilitated other ways to make documentaries, beyond the linear narrative. One of the most important characteristics in multimedia language, i.e., a language that includes different, interdependent media, is interactivity and the possibility that each user has to find its own way through the narrative, instead of following a story passively. This type of “reading” is defined as non-linear. The implications of these two key-elements of the online medium affect deeply the way the documentaries of the future are built, being the future right now. Online, video can coexist with other formats and integrate with them. A documentary can be based in a narrative supported by a map, a timeline, or those two things simultaneously, where users can navigate through blocks of visual information, videographic or not, in a more or less immersive experience according to their choice. The opposite can also happen, providing interactive characteristics to video , opening a new world of possibilities to any element within the story. And reality itself can be the support for the documental narrative. With the development of Augmented Reality applications in mobile devices like smartphones, documentaries have a new canvas: the physical world, with the documentary work superimposing to the image captured by the phone lens, and using technologies like GPS and special recognition. What documentaries can do, just like any other narrative based in real physical spaces, is to tell a story street by street, mixing past and future in the image of the present that we see in the naked eye. The future of the documentary is thus full of possibilities. The only thing that is not changed is the passion and the need that move documentary makers to provide a view over a specific aspect of reality. Conscience agitators by nature, they should look to digital society like a true admirable new world, where their work can reach audiences and dimensions unthinkable only 30 years ago, where the life and repercussion of their narrative fragments can cut deep and leave their mark way after the time they were created. Their responsibility is to document, and their glory will be to persist in an ocean of information, that grows deeper and deeper. The main feature of documentary is to not have defined borders, and to be in constant evolution. There was no better time to be like that. I’d like to also add the interactive docs by the National Film Board where documentaries are being developed under the multimedia a nd interactive demands. A great example is the project Out My Window. Another text that caught my attention recently was this post called “10 big ideas for the future of Film” at MediaShift. how the old guys are somehow unable to cope with it.